Minimalist lifestyle is now more and more popular, which means the number of people moving into such simple yet convenient items is increasing. 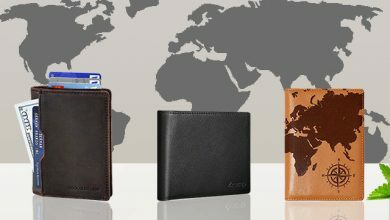 In fact, slim wallets are getting hotter than ever if not saying that they are trendy these days. 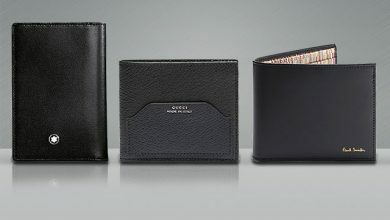 If you are a new minimalist person and intend to try such amazing wallet, why don’t start from those reasonable price ones? 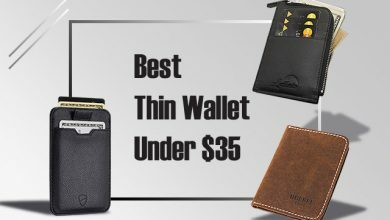 In this article, I will show you top best slim wallets under $20. 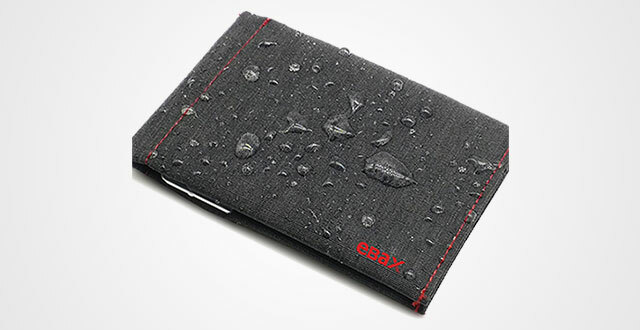 Nothing’s better than a functional thin wallet that’s now added the waterproof ability, isn’t it? Besides, it’s very lightweight and slim to stay in your pocket without notice. The biggest advantage of such this kind of material is that it can bear a heavy load including many elements without getting damages. 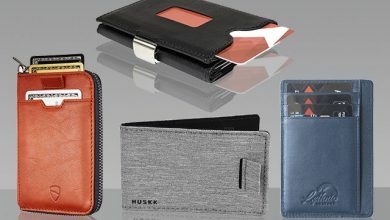 For those who are looking for a “more from less” slim bifold wallet, this is even a better option as it manages a slim profile with roughly 4*2.8*.02 Inch whereas comes in spacious room. Going inside, there is 1 ID window, 2 card slots and 1 full-length compartment for bills. The clear ID window is measured perfectly to fit either your IDs or driver license, which is very convenient! Besides, it is equipped with RFID Blocking Technology to prevent your private information disclosure. But kindly take notice that with this design, it enables to block 13.56 MHz Frequency Signals, not with 125 KHz. 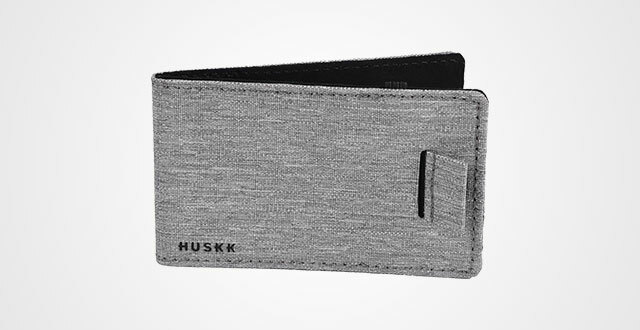 Huskk Wallet is even smaller and slimmer than the Ebax, which is perfect for those who are looking for a minimalist design to carry less. In terms of construction, there is a smart pull tab on the frontside and an elastic band to keep cards on the inside. According its flexibility and elasticity level, this band can fit up 6-8 cards easily and just get no fears of it becoming loose after a short time using as the material is high quality. It’s totally different from those cheap elastic bands on the market. For those who are curious about its security, this wallet is added advanced RFID Blocking Technology to avoid hi-tech thieves from stealing your personal information or bank data. 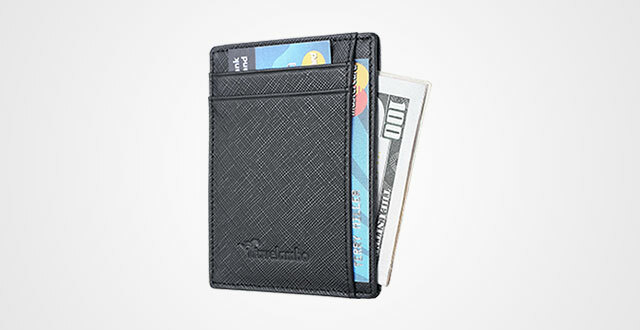 Not only does it minimize your carry, but this Lethnic wallet is also stylish. 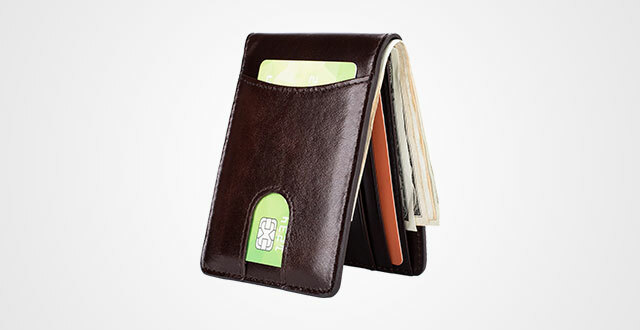 The whole wallet is made complete from genuine cowhide leather. 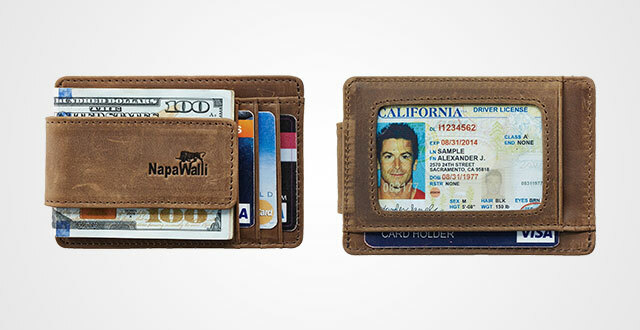 You see, a 100 percent real leather wallet, just under $20, that’s a big deal, right? Another good feature about this wallet is that it does have RFID protection for any cards within. You can even carry bank notes as well. I want to say it’s probably not the lightest or smallest, but it’s the coolest and worth a try. Besides, it also features RFID Blocking Technology that has been tested and approved for 13.56 MHz frequency. But I also alert that it can’t for 125 MHz frequency, which means the wallet is unable to protect such normal cards like hotel room card. But on top of that, you can keep ease in mind with ID card, bank cards, driver’s license. On the other hand, the manufacturer offers 1-year warranty so I think there’s no reason to give it a try. 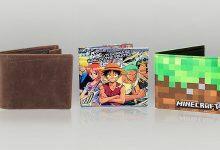 I must say that it is the best thin wallet in this collection. It’s unique and special from the material to design. 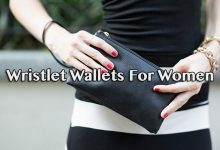 Instead of using genuine leather like many other wallets, this one utilizes aluminum to deliver a strong, square and sturdy design, which helps to hold your belongings safer and better. It might look slim and compact, but don’t fret, the capacity is really spacious thanks to the high-quality silicone band. 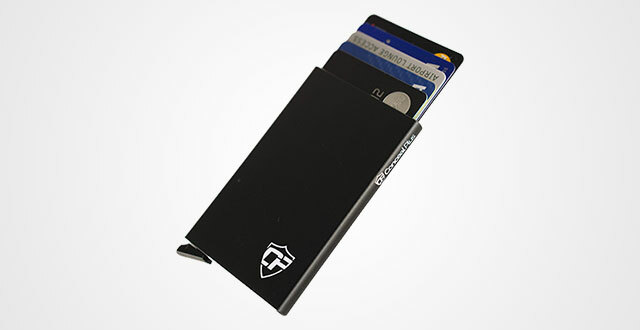 In fact, this wallet can keep up to 20 cards at the same time easily, no falling, no losing, very stable and protective. Besides, for ultimate security, the manufacturer also adds RFID Blocking Shield as well. 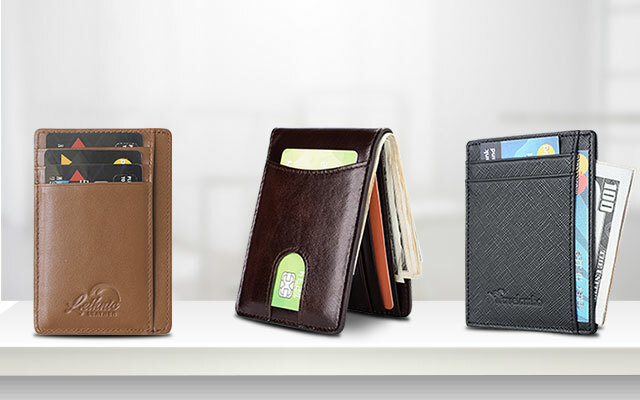 These slim wallets highlight the smart design of a bifold wallet, more spacious yet slimmer. In my opinion, it is perfect for business as there are enough space for the most essentials, bank cards, business cards, ID card, currency and other important documents. Going more detail into its construction, this wallet from GintaXen has an outer cardholder with a thumb cutout to access quickly your regular cards. On the inside, there are 3 more card slots in addition to 1 ID window and a large top compartment for unfolding cash, bills and receipts. The maximum capacity of this wallet is 10 cards and 10+ bills, especially US dollars, which is quite convenient and multifunctional. Besides, it is covered fully with RFID Blocking material for ultimate protection as well. 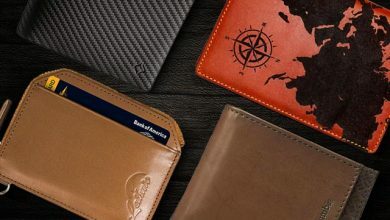 In terms of dimensions, the total measurements of this men’s leather slim wallet are about 3-1/16 x 4-1/4 inches so just comfort your mind to put it in either the front or back pocket. The wallet not only enables to meet the requirement of large capacity but also satisfies any taste. Made completely from the finest top grained genuine cowhide leather combining with square design and on set lining, the whole outlook of this item can impress the viewers by its masculinizes, power and luxury. Thus, it opts for both casual wear and special occasions, very multiuse. For those who find the bill compartments are excess for a slim, minimal wallet, then this slim leather wallet will surely satisfy your taste. 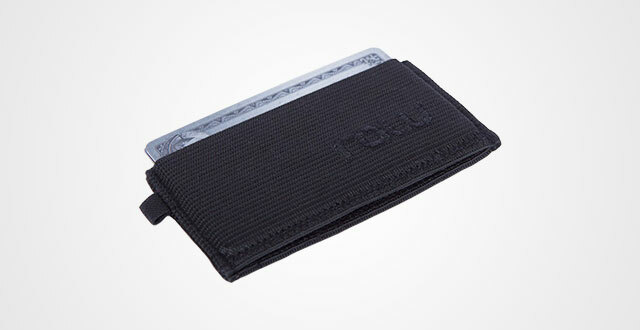 It cuts off this portion and alters for a money magnetic strap so that not only does the wallet remains a slim silhouette with measurements of 4”x 3”, but you also have place to accommodate a couple of loose change. 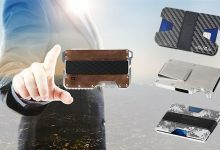 The best thing about this wallet is its leverage of the Earth Magnets up to 4, instead of just 2 like others to help keep your bills solidly and sturdily. For those who don’t know, Rare-Earth magnets were made in the 70s and are arguably as the strongest type of permanent magnets. Other than the outer clip, the wallet also includes 3 card slots (including 1 ID window) to streamline your belongings neatly. Another dismissible feature is the advanced RFID Shield that can prevent any 13.56 MHz Frequency Signals, but kindly understand that it’s impossible with 125 KHz. Who say that a long bifold purse can’t go slim? Like its name defines, this Miraclekoo is measured by 7.48″x3.54″x0.78″ but magically enables to accommodate up to 12 cards, 1 ID, a lot of straight bills coming in different sizes and coins. There are 12 card slots, 1 clear ID window, 1 zippered pocket, 4 full-length compartments and all are closed by 4 button straps. Thus, when not in use, you can feel ease in mind that it won’t open widely inside your bag or backpack. 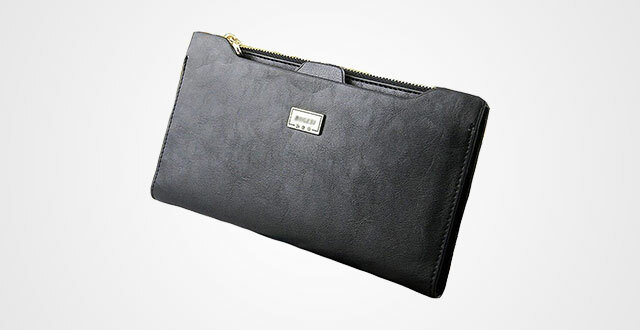 In terms of material, this wallet is made out of high-quality PU leather for strikingly soft texture and comfort to touch. Not saying that for those who don’t like such material asking complicated maintenance like genuine leather, this is a great option. Minimalist is a new lifestyle! And if you want to make a try, this piece is worth every penny. There are three things about Raw Threads that make me attracted and impressed quite hard are thin, minimal design and function. Normally, such a small piece measured by 3.5 x 0.2 x 2 inches that can stay neatly in the palm of your hand can’t accommodate up to 8 cards at the same time. But here, this design, it’s magically possible. The key characteristic for this is its high-quality stretchable and elastic fabric. Though small, it features three compartments to organize your stuff. Its design is very simple, full plain outer performance with a nicely sewn brand logo on the frontside. Its flexible yet solid enough to keep cards in place without accidentally falling out. Besides, there is a small loop on the side so that you can make use of it as a key chain holder. Very convenient, right? 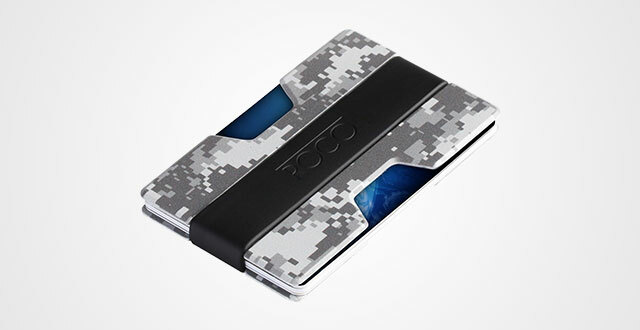 This credit card holder will surely do the best job. 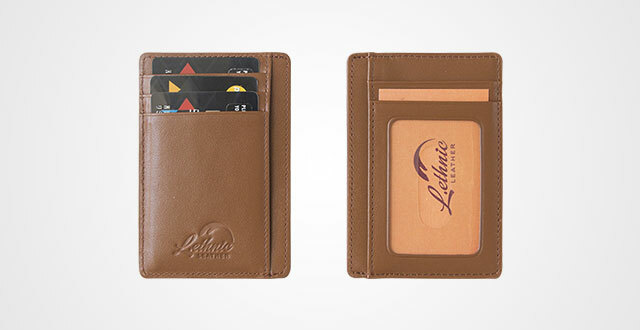 The wallet comes in moderate space to fit smoothly your regular cards, 4-6 ones are perfect. Measured by 3.75″ x 2.75″ x 0.33”, it can accommodate many kinds of cards such as driver license, credit cards, debit cards and IDs. But one thing you should keep in mind is that this design is only used for cards as there’s no bill compartments. But the highlight point is its clever strap to quickly pop out your cards and present them one-by-one for quick access. Another good feature is the built-in RFID Blocking Technology which prevents your private information disclosure. Along with that is 2-year warranty to ensure you will always feel happy with your purchase. 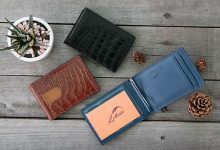 Here are 10 best slim wallets under $20 for those who either in a tight budget or want to try this trendy kind of item. Hope that it is helpful for you to pick the right one.